The Pointek CLS 100 is a compact 2-wire inverse frequency shift capacitance level switch. Primarily used for level detection in constricted spaces, interfaces, solids, liquids, slurries and foam. Pointek CLS 100’s short insertion length of 100 mm and versatility makes it a good replacement for traditional capacitance sensors. Its advanced tip-sensing technology provides accurate, repeatable switch point performance. The PPS probe (optional PVDF) is chemically resistant with an effective process operating temperature range from -30 to +100 °C. The fully potted design ensures reliability in a vibrating environment such as agitated tanks up to 4 g. When used with a SensGuard protection cover, the CLS 100 is protected from shearing, impact and abrasion in tough primary processes. The Pointek CLS 100 is available in three versions. The integral cable version has a stainless steel process connection and probe options of PPS or PVDF. The fully synthetic version has a thermoplastic polyester enclosure with a PPS process connection combined with a PPS probe. 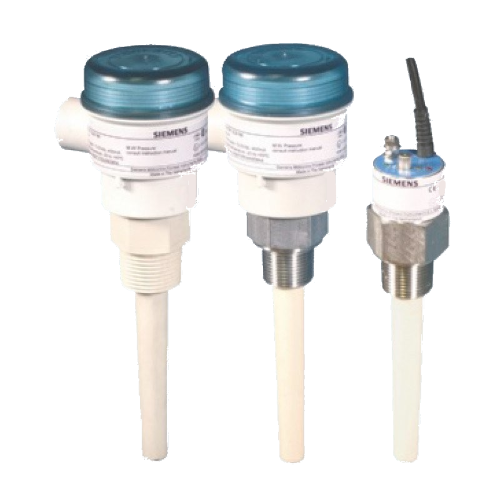 The standard enclosure version has a thermoplastic polyester enclosure with a stainless steel process connection in combination with a PPS or PVDF probe. The Capacitance Level Switch Pointek CLS 100 is a compact 2-wire inverse frequency shift capacitance switch. Used for level detection in constricted spaces, interfaces, solids, liquids, slurries and foam.